My eldest granddaughter (aged 12 years) says I have the best job in the world because in her words, "people just send you great books to read and review." I pointed out that this isn't all I do, but it's one of the most enjoyable things I do get to do in any week. She volunteered to help me out, so she has reviewed the last book. Here are 16 recent arrivals for younger readers aged 3 to 13 years. As usual, I have arranged them in rough order of reading difficulty. And of course, I do NOT receive any financial benefit for my reviews from publishers or online book sellers. 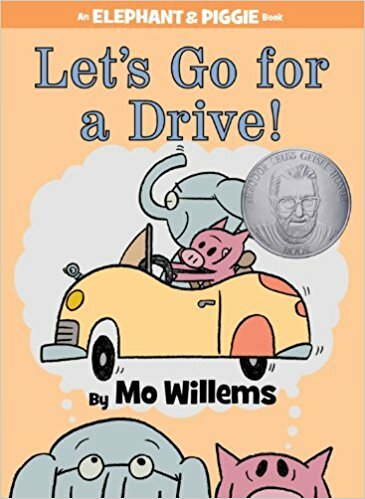 This one of the latest of the 'Elephant & Piggie' books for beginning readers from Mo Willems the brilliant award-winning author of 'Don't Let the Pigeon Drive the Bus'. Using speech bubbles and a repetition of words and phrases, this is a great early book for any young reader. 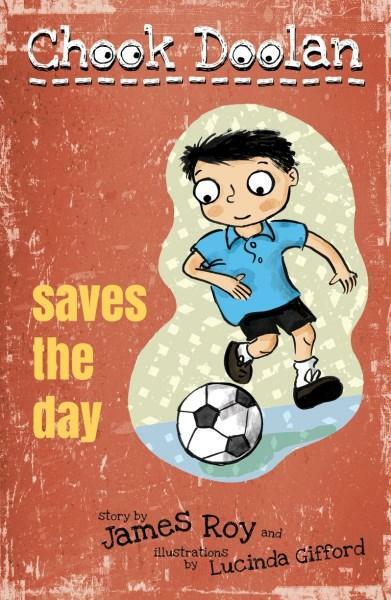 The illustrations in simple cartoon form are simple, engaging and funny. Kids will love it! Best friends Gerald and Piggie are at it again - adventure and fun! Piggie hasn't seen Gerald all day! Why? It seems Gerald has broken his trunk. How did he do it? Well, that's a long story. Piggie ends up telling a long, crazy story of her own? Once again, Mo Willems has created an hilarious tale. 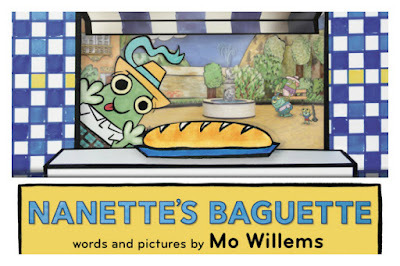 Yes, another Mo Willems book?! It might seem like he's getting too much attention, but his work is stunning. This latest book, from the author with three Caldecott Honour medals, six Emmy Awards while writing for Sesame Street and the Theodor Seuss Geisel Medal on two occasions, is delightful! 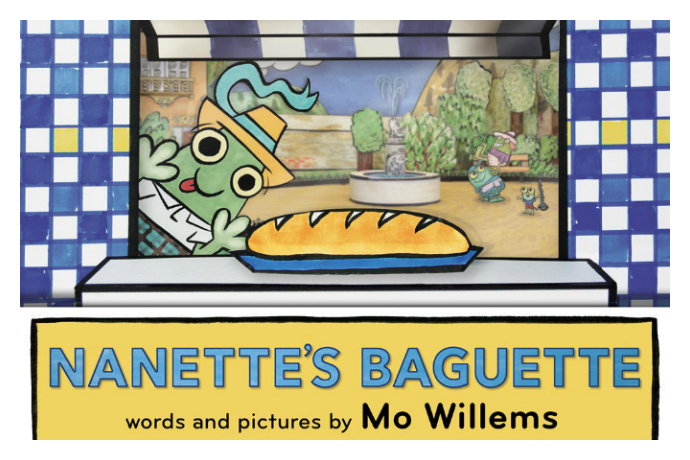 Kids will love this hilarious new tongue-twister read-aloud about a little girl, Nanette, on a mission to buy a baguette. Nanette's has her first solo trip to the bakery. The question is, will the baguette make it home in one piece? The illustrations feature a handcrafted French village with the most expressive responses as she handles to tricky challenge. And the first 'Krack!' signals a problem. Children will want this read again and again. Just love Mo's work. This author and illustrator team has now created seven very readable first books for newly independent readers aged 5-6 years. Chook doesn't want to play this game, he thinks it's scary, especially when Ashton Findus and Marty Petrovic are on the team. Can Chook find the courage to join the game? 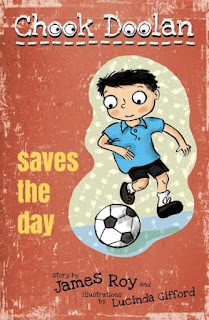 Will he survive as goalie when the two toughest players charge towards him? Children will enjoy be drawn along to the exciting conclusion. Like all of the books in the 'Chook Doolan' series from Walker Books, this one is well pitched for emergent readers. The language and sentence structure are simple, and the short chapters give young readers the satisfaction of reading 'chapter books'. Gifford's simple black and white illustrations and the large font also help to ensure reader success. In this tale, 'Chook Doolan' (alias Simon, his birth name) receives a new present from his Dad the airline pilot. At first he assumes it is a guitar, but it's actually a ukulele. Reluctant at first he gives it a shot. Will he master it? Young readers will want to keep turning the pages to find out what happens. I've reviewed Anna Branford's books before and I always love her ability to engage young readers. 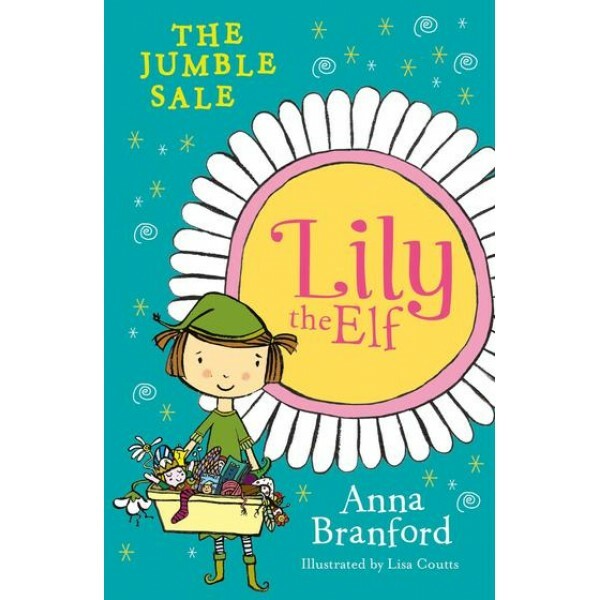 This book is one of six books in the 'Lily the Elf' series. All the elves are setting up stalls in their front gardens to sell the things they don't need any more. But Lily doesn't want to sell any of her things - they are all too precious. Will Lily be able to part with her special treasures? A wonderful early book for a newly independent reader. There are far too few books of this type and Anna Branford has the rare ability to write simple stories that young readers find accessible and rich in language. This is an ideal first 'chapter' book. 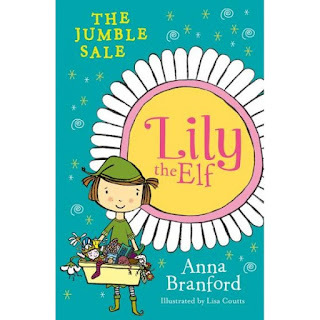 Lily the Elf is with us again in this lovely tale. Lily's cousin Fern has a sleepover; every child's delight. It feels like she will never arrive. Fern isn't too chirpy at first when her parents leave. Will a butterfly game, castle building or a midnight feast win her over? Perhaps? What might Granny have that will help? What is the secret weapon? Delightful stuff for young readers ready to move from picture books to books with more words than pictures. 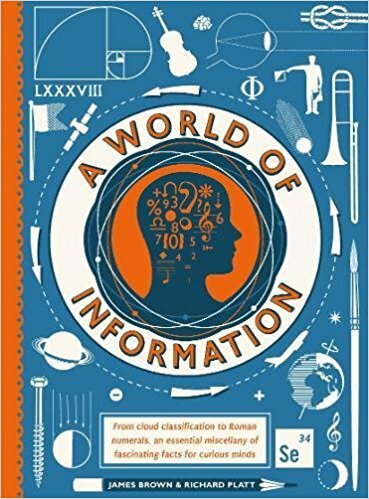 This is one of the best non-fiction books for younger readers than I've seen for some time. 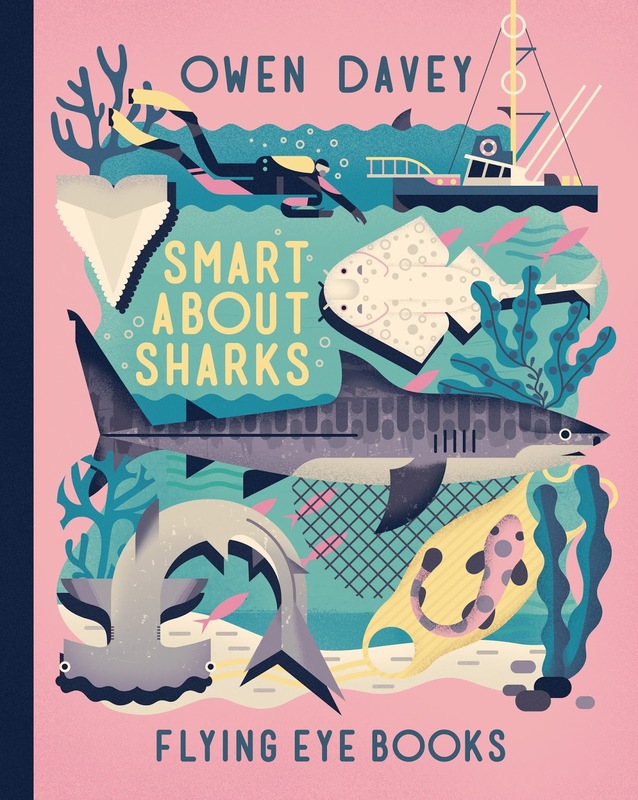 Combining good scientific information, wonderful slightly stylistic illustrations in a muted palette and a quirky readable style, this book is a winner for readers aged 6-8 years. Even younger readers will make the effort to work through the book, and older readers will also be held by the wonderful way the book has been created and the way the knowledge of sharks is communicated. There are so many interesting angles on the topic. Would you like to see a visual comparison of the size of a Megalodon (the first prehistoric shark), a Great White and a human? What are the scientific names for common sharks like Angel sharks, Dogfish sharks and Ground sharks? What are the varied fins on sharks? Like to know more about the eye sight of sharks? What does a meal look like for sharks? What about shark mythology? There is just SO MUCH in this beautiful picture book! This is one of the most visually stunning books that have come across my desk for quite a while. It looks and feels like some of those rare and expensive books that I first saw as a child in my school library that I would rush to each week to look though again and again for facts and figures for just about every topic I was interested in as a young boy. This contemporary version offers a vast miscellany of knowledge with simple two colour images on every page. What child doesn't want to know how many bones there are in the human body or how clouds form? Every boy and girl wants to know about knots and Morse code. What about the instruments and layout of an orchestra? Have they seen a periodic table, and what are elements anyway? Every page is beautiful, fact-filled and engaging. A book you can dip into on a wet day, or when other reading loses its interest. The celebrated author Richard Platt has done it again. The book covers over 30 fascinating topics and will be popular with children aged 8-12 who love knowledge and are curious about the world. This is a beautifully designed book. Gabi Swiatkowska's illustrations, inside cover detail and quirky image will capture children's attention from first sight. Once captured, Kate Hosford's story will keep them enthralled. Every day when the Queen wakes up, her three maids have to dress her, two style her hair, and the butler James makes her a cup of tea. 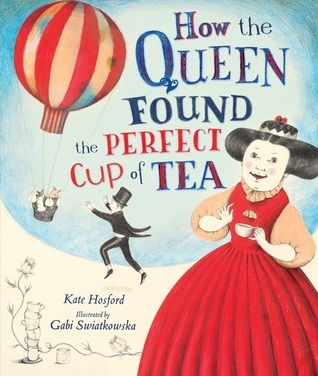 But sometimes, tea drinkers are hard to please, and the Queen is no exception! The Queen and James set out in search of the perfect cup. At every stop on their hot-air balloon journey she encounters new friends who teach her more than just how to make different cups of tea. There is a secret to the perfect cuppa and she finally discovers what it is. This is a wonderfully simple tale but it will engage a whole class, an individual reader, or your children as bedtime reading. A lovely book. 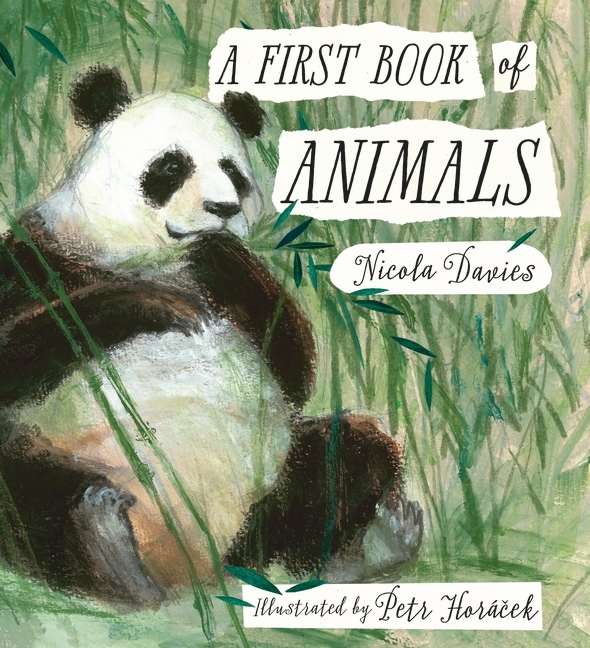 Nicola Davies, the award-winning author of A First Book of Nature, presents a spellbinding treasury of poems about the animal world, illustrated in breathtaking detail by Petr Horacek. Polar bears playing on the ice, tigers hunting in the jungle, fireflies twinkling in the evening sky and nightingales singing in the heart of the woods - there are animals everywhere. From blue whales to bumblebee bats and everything in between, A First Book of Animals takes you all over the planet to visit all kinds of different creatures. This book is a glorious celebration of life in the wild in all its variety and splendour, and belongs on every child's bookshelf. This is another stunning book that teachers while engaging younger readers with verse, facts and stunning images. Children will want to read this book again and again to find their favourite illustrations and animals as well as to learn new things. Double page spreads make the many animals jump from the page. A graceful flock of pink flamingos, a giant ant nest in a deep forest, a poisonous viper, and a sea of glowing jellyfish. The luminescence of the latter will make want to stroke the page. This is no dreary book of facts but a work of art of extraordinary quality. One of my favourite books of the year! When the first apple falls from the tree, Faith and Peter know that it’s applesauce weather, even though Peter is getting a little old for such things. It also means Uncle Arthur should be here to tell his stories, with a twinkle in his eye as he spins tales about how he came to have a missing finger. But this is the first year without Aunt Lucy, and when Uncle Arthur arrives, there’s no twinkle to be found and no stories waiting to be told. Faith is certain, though, that with a little love and patience, she and Peter might finally learn the truth about that missing finger. This poetic novel for readers aged 7-10 years is intriguing. There is a mystery to it that keeps the reader engaged and attentive. 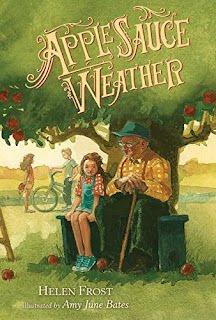 The connection of Aunt Lucy to the seasons that are marked by a special apple tree, that in turn is connected to the deep love she had for Uncle Arthur and their family, engages the reader and keeps you in state of tension and mystery. A love tale that speaks of the depth of love within families as well as hope. A delightful novel for younger readers. From the Oscar-nominated and Bafta-award-winning creators of animated films 'Belleville Rendez Vous'' and The Illusionist' comes a hilarious, dark-edged comedy caper full of twists and surprises. This is an unusual book for readers aged 10-12 years. It is a somewhat dark tale of a world in which banks have become so powerful that parents offer their children as assets to secure loans. 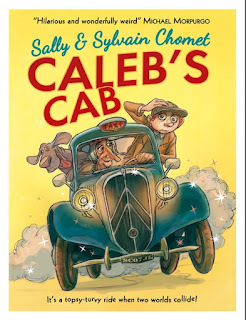 When Caleb's father disappears quite mysteriously he needs to take over the driving of the family cab so that the banks can't foreclose on them. He would end up working in ATM machines like lots of other children in his town. Life becomes a series of near escapes. And the cab turns out to be anything other than ordinary and it takes him into another reality. He discovers that his Dad is alive, but for how long? And how will he save him? This a strange and quirky story that might sound very dark, but because it is so outrageous it is much more comedy than thriller. Many children will find the absurd tale rather funny and stimulating. Sylvain and Sally Chomet manage to bring their cinematic art and storytelling to this their first children's book that ends with a cliffhanger and will have devoted readers waiting for the next installment. Sachiko is a challenging nonfiction true story about a small girl who survived the bombing of Nagasaki on August 9, 1945. It is also the story of the impact that this event had on many others. Sachiko Yasui was just 6 years old when the USA dropped their second atomic bomb. 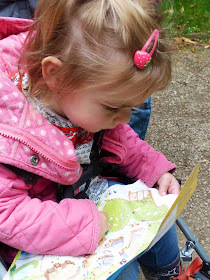 Amazingly, it hit just half a mile from where she was playing house with friends in an air raid shelter. Her father was at work in the local shipyard, so her mother took her children to the air raid cave. There was an all-clear sounded, and her two older brothers left the shelter. Mrs. Yasui, Misa and Toshi went home, but Sachiko stayed in the shelter with friends to place 'house'. With no warning, the bomb was dropped and life was changed for Sachiko and her family. The book has already been nominated for a number of awards and is poignant reminder of the horror of atomic weapons and war. This book brings together a powerful mix of narrative, original photographs, eye witness accounts, factual details concerning the aftermath in the city, the story of flight crew and mission and the impact on ordinary people. 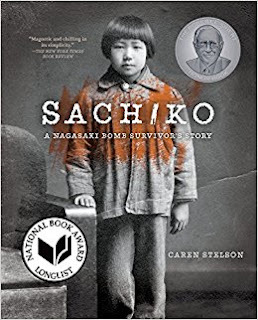 Some children might find the book just a little too challenging, so care will be needed in introducing them to the hard reality of what happened in Nagasaki on that fateful day in 1945. Nevertheless, this is an important book, and a story that we need to hear. 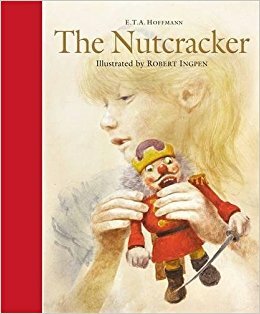 The tale of Nutcracker, written by E.T.A. Hoffmann in 1816, has captured young and old readers alike. It has also inspired great artists and composers for two hundred years. It has lost none of its 'magic' and joy and is as fresh and as compelling a tale as ever, appealing to the sense of wonder within all of us. This edition of the book was released last year to mark the bicentenary of the story. The illustrator Robert Ingpen is famous in his own right. While he is known primarily as an illustrator, he is also a fine writer with 13 works of fiction and over 20 non-fiction. For his "lasting contribution" as a children's illustrator he received the prestigious biennial, international Hans Christian Andersen Medal in 1986. This book is one of a series of 15 classic stories that he has illustrated for Walker Books over a number of years and as always, the fine line work and detail are the marks of an extraordinary artist who enriches any book. This old tale is brought to life by his wonderful work. These hard cover books are outstanding collector books that will remain on family shelves for many years as treasured possessions. This review was contributed by Rebecca Starling (my Year 7 granddaughter who eagerly read the book and wrote these comments). "Sweet and sad." 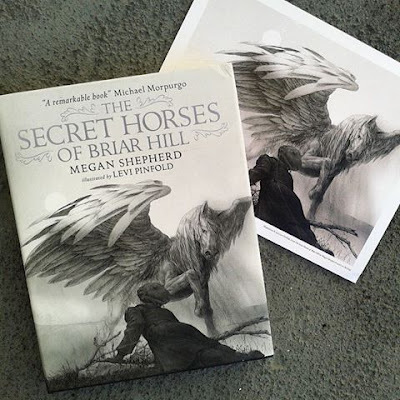 'The secret horses of Briar Hill' is a story unlike any I have ever read. Emmaline is instantly lovable and it feels as if you have stepped inside her head. The beautiful illustrations add to the staggering emotional impact this book will leave you with. I would recommend it to anyone who wants to spend a day or two locked up in a room, unable to tear their eyes away from a book that will stay with you for years after you have finished reading it."